Increase sales and improve customer retention with the Automated Attendant solution from SpliceTel. Our professional recording creates the perfect introduction to your company, and the online management gives you complete control of calls by department or branches. With our high quality Automated Attendant service, you can add a professional touch to your number, gaining customer trust and increasing retention levels across the board. Our expert Voice Recording services will also boost the quality of your Automated Attendant, meaning your phone line will have even more of a professional feel, giving you that edge over the competition. Perfect introduction to your business. 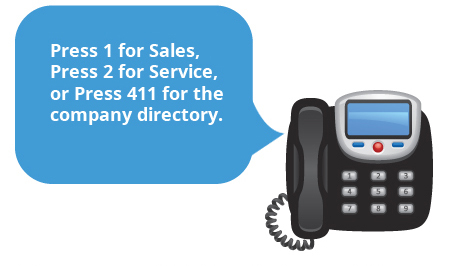 Welcome callers with a bespoke introduction and options message. The Automated Attendant offers a prompt and professional solution to help callers reach the required department or branch in an instant. The business benefits from improved customer service levels and an easy-to-use online call management facility for calls during and outside of office hours.